What’s good? 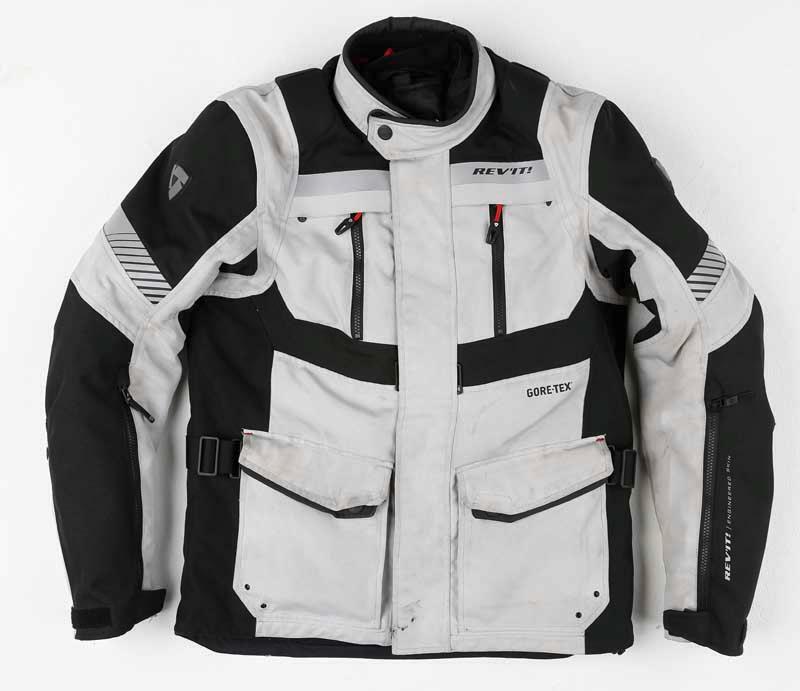 RevIT says the adventure-styled Neptune jacket and trousers are aimed at true four-season riders, with two inner jackets – one Gore-Tex for keeping the water out and one thermal for keeping the cold out. The Gore-Tex lining in both have so far repelled all moisture thrown at them by the British weather with ease. The thermal lining works almost too well, keeping me warm and snug when I’m making progress, but almost making me too hot when progress slows in town. Remove both of these and you have an adventure jacket perfect for hot weather riding thanks to zips on the chest, back and arms. The ones on the arms run almost the whole length of the lower arm and work particularly well. There are plenty of pockets inside and out to hold various trinkets as well as a pocket on the rear of the jacket for your sarnies. 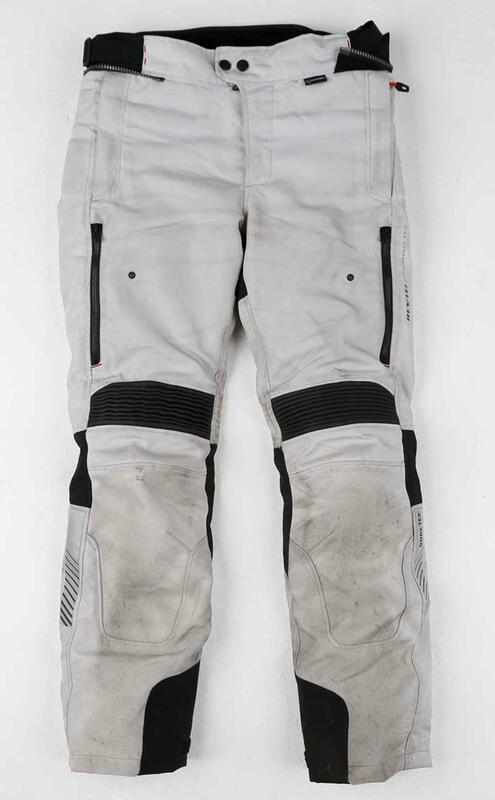 The trousers are equally versatile thanks to the linings and they too offer ventilation on the thighs with a nice popper system to make sure the vents stay wide open. There are adjusters on each side of the waist to tailor the fit should the waist need adjusting. The silver-black colour of my suit may not be to everyone’s taste but I like it – it makes a nice change to the usual black winter kit and now it’s getting dirty it’s looking a little better. The suit is also available in anthracite or black. Although I’ve only had the suit a couple of months build quality seems top notch – which is usually the case with RevIT gear. I managed to trap the jacket in the boot lid one night, knocking and bending a few zipper teeth in the process, but the jacket still works fine, although it does need a little persuading to get past the wonky teeth every now and then. It hasn’t affected the weatherproofing one bit. What’s not? It would be nice if the outer shell for both the jacket and trousers was Gore-Tex instead of having a separate layer which adds more bulk, but it still does the job of keeping me dry. The trousers are a little tight round my thighs, and my legs aren’t particularly chunky.